Budweiser is the king of ads for the big game, claiming three out of the top four most shared Super Bowl ads of all time, according to data from Unruly. 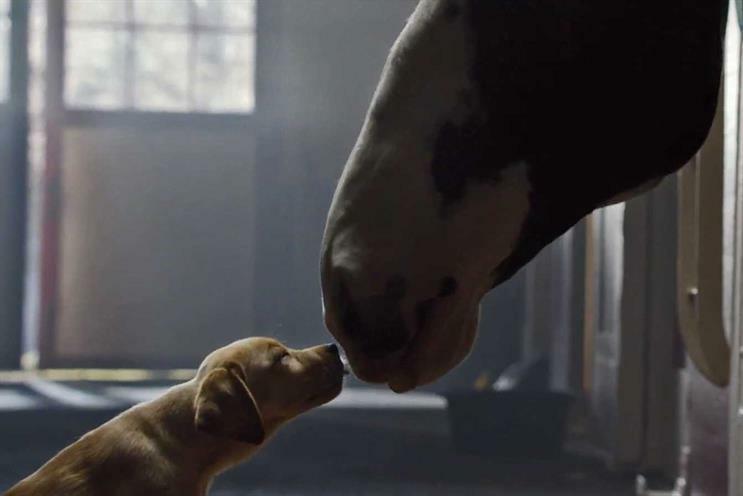 Budweiser's "Puppy Love" spot, which will have a sequel this year, was the only ad from Super Bowl XLVIII to make it into Unruly's viral rankings, with over two million shares. Despite being recently eclipsed by Sharika as the most shared ad ever, "The Force" is still strong for Volkswagen when it comes to the Super Bowl, with its Star Wars themed spot from 2011 remaining the most shared Super Bowl ad of all time.